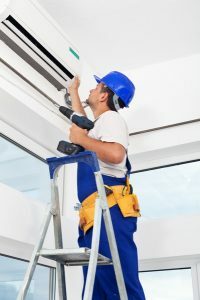 I Have a Ductless AC, Does It Need Professional Maintenance? We get this question a lot—some might assume that because a ductless system does not have as many components as a conventional central ac system, namely the air ducts, it doesn’t need as much care and service as one either. Ductless systems provide a number of benefits—efficient cooling and heating throughout your entire home, less indoor air quality problems than a traditional system, and versatility as far as installation goes—they take up far less space than conventional systems. Posted in Air Conditioning | Comments Off on I Have a Ductless AC, Does It Need Professional Maintenance?